Page last updated on: Friday, 16 November, 2018.. The names listed in this Roll of Honour are of people who were involved in The Great War and who were either born, lived in, or had some association with Gatehouse of Fleet or other parts of the parishes of Girthon and Anwoth. 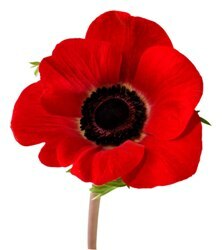 Those who died are noted by the use of a poppy. There are 88 names on the Anwoth & Girthon War Memorial. These are those who lost their lives in the first World War and whose names were submitted prior to the memorial being erected in 1921. In the roll of honour below there are are 392 names of men and women who went to war, of which 120 died during their war service.